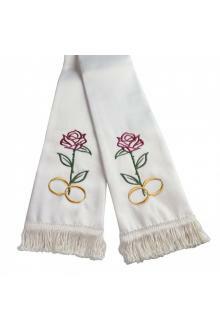 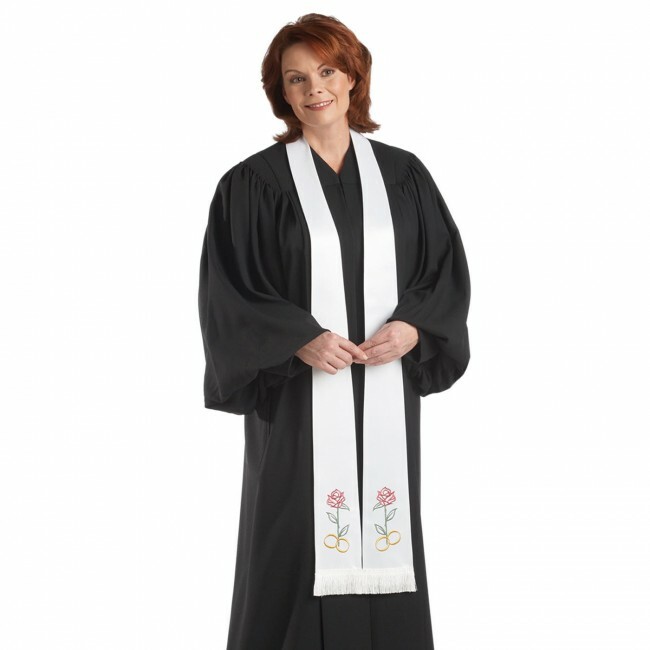 Wedding officiates will enjoy the simplicity and elegance of this wedding stole. 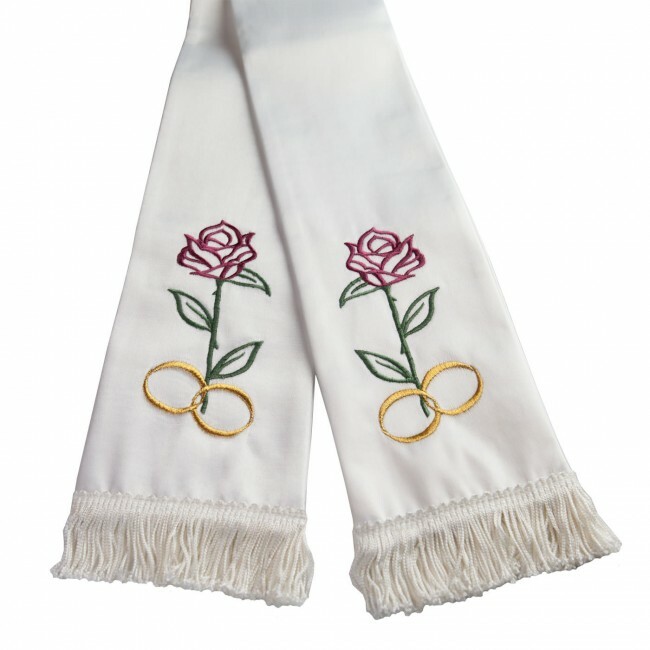 A pair of embroidered gold metallic wedding rings entwined with a single rose adorns each panel of this white Empress Satin stole makes this stole appropriate for inter-faith weddings. 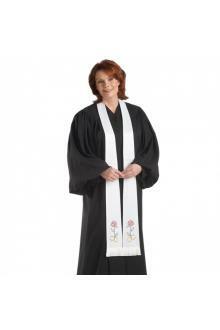 Measures 92" long end to end with 2" white brush fringe.